The 2016-17 cyclone season starts today, 1st November 2016 with the Australian Government Bureau of Meteorology launching its cyclone warning service for 2016-17. Since 2007 Saunders Beach has had a constant reminder of cyclones in the form of interpretive signage in Saunders Park, at the northern end of Reef Street. Image 1. The Saunders Beach Cyclone sign. Designed and installed by Thuringowa City Council. On the 3rd, 4th and 5th of June 2016 the iconic Pacific Festival makes a comeback in Townsville to mark 150 years since the city became a Municipality. In the 1970s, ’80s and early ’90s the Pacific Festival was a much-loved annual event. Today, Sunday a Float Parade will travel from Mariners Drive, down the Strand to the Rockpool and into Jezzine Barracks. In 1994 Saunders Beach Rural Fire Brigade became a part of the Float Parade as the colourful vehicles drove down Flinders Street. The fire truck came to Saunders Beach about 1991. Townsville’s ‘Hidden’ War Memorials – a T150 event. 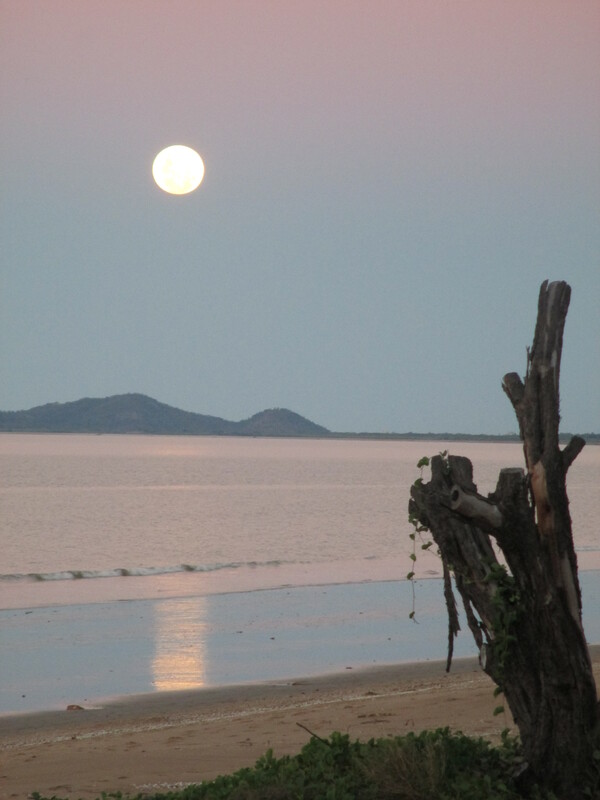 Ever since the 1880s when George Saunders took up land in the area now called Saunders Beach this beachside village has had a vital connection to Townsville for such things as banking, Courts and State Land Office transactions. In 2008 the Queensland Government amalgamated local governments and Saunders Beach became a suburb of Townsville City Council. This year Townsville celebrates 150 years – 1866 to 2016 – since it became a Municipality under the Queensland Municipals Institute Act of 1864. This historical milestone for Townsville is elegantly represented by the abbreviation T150. In recognition of this Townsville City Council has planned a year-long festival of events, selecting some community-based activities to support financially. The National Trust of Australia (Qld) Townsville Branch received funding for four bus tours. Image 1. In the grounds of the Townsville Heritage Centre. By all accounts the Saunders family generously opened their home Springfield in the late 1800s and the early twentieth century. George Saunders and his wife Elizabeth were from rural backgrounds – George came from the small village of Whitwell in Hertfordshire, England and Elizabeth was a farmer’s daughter from Cappyroe, Offaly, Ireland. They carried the hospitality of rustic life learnt in their homelands to Springfield, hosting such activities as a New Year’s Eve 1891 house party for thirty guests. Modern Saunders Beach unknowingly carried on this tradition when the Saunders Beach rural fire brigade put on the first kids’ Christmas Party on the beach at the northern end of Reef Street in 1990. 1990 Reef Street car park (now Saunders Park). The beautiful tropical evenings we enjoy at Saunders Beach provided a perfect backdrop for Cinema Under the Stars. Saunders Beach History Project acknowledges the traditional owners and custodians of Saunders Beach, the Wulgurukaba people. Thank you everyone for your kind contributions of photos, stories and memorabilia to the history of Saunders Beach. We at Saunders Beach History Project take great delight in hearing your memories of the Beach. Please email saundersbeachhistoryproject@yahoo.com or add a comment to one of the stories if you have something to share.